The grey, on-ear wireless headphones feature an all-over design of Mickey Mouse’s iconic pose. Fast Fuel provides 3 hours of playback after just 5 minutes of charging. Fully charged, the headphones last up to 40 hours. The special-edition headphones also come with a unique, custom felt case plus a collectible 90th Anniversary pin and decal sticker. “Music and Disney go hand in hand, now they just have the perfect headphones to be an outlet and represent them,” said rapper Lil Yachty. 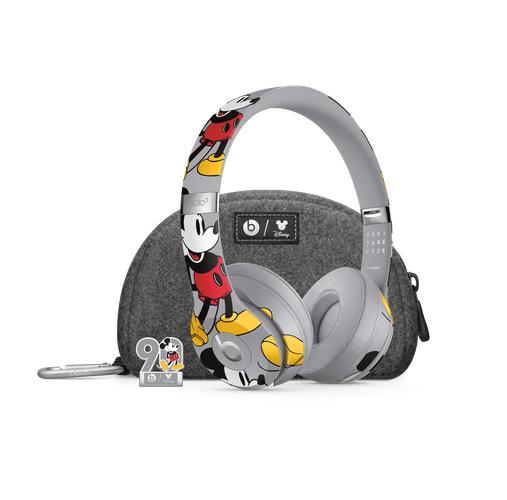 The Mickey Mouse 90th Anniversary Edition Beats Solo3 Wireless headphones will be available from 11th November for $449.95. For more information, visit beatsbydre.com/au.